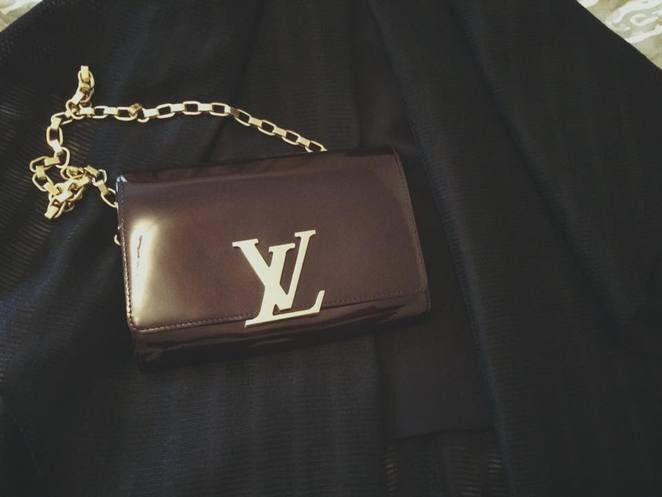 Who doesn't love exclusive brands like Louis Vuitton and Yves Saint Laurent? It's just a pity that a bag costs more than a car. Not to worry though, because you can now rent a designer bag for a miniscule fraction of the retail sale price. All hail Dressed Up, another dress hire business to brace the fashion scene, offering an exquisite variety of designer pieces that will make you the centre of attention at your next special function. I rented a beautiful Nicholas the Label black number that is perfect for any fancy occasion. With delicate straps and a fitted bodice that leads to a flowy skirt to create the ultimate statement outfit. The best part about Dressed Up was the array of sizes available that allowed me to pick and choose with ease, knowing I won't have to stress about the fit. To accompany this stunning piece, I ordered the signature Louis Vuitton mauve coloured handbag that undoubtedly stands out against any desired outfit. The bag itself is valued at $2,630.00, but you can rent it for $225, which is worth the cost if you intend to impress. 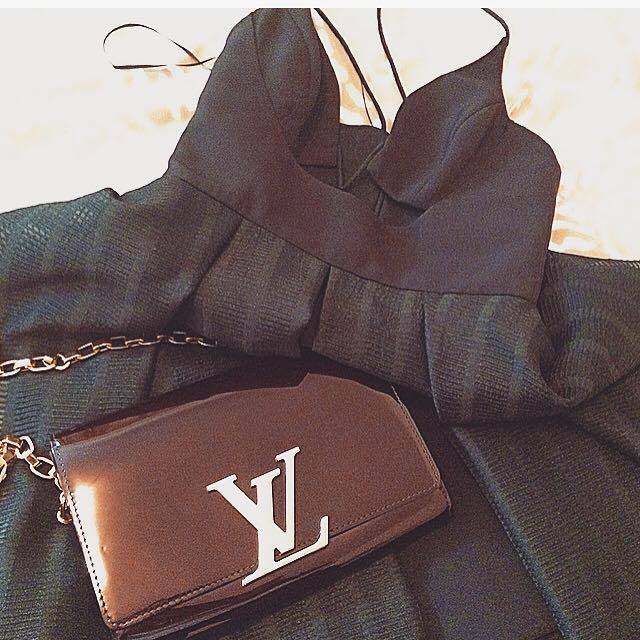 Alongside the Louis Vuitton bag, you can also rent Prada and Yves Saint Laurent; need I say more. Some other brands that Dressed Up showcase are Asilio, Camilla, Alice McCall, Camilla & Marc, Enza Costa and more labels that are new to me. You can browse through tabs of gowns, playsuits, short dresses, accessories, kaftans or black tie garments to narrow down the search if you're struggling with outfit ideas. If you prefer to buy clothes, then have a gander through Dressed Up's online store, that provides visitors with trending pieces that can be purchased from the comfort of their own home. What's more, the sale garments are a lot cheaper than their retail price; think $650 down to $250. You can view the range to buy here or rent an outfit instead. If you're merely looking for some style inspiration, then why not visit their blog and social accounts for all things fashion related. 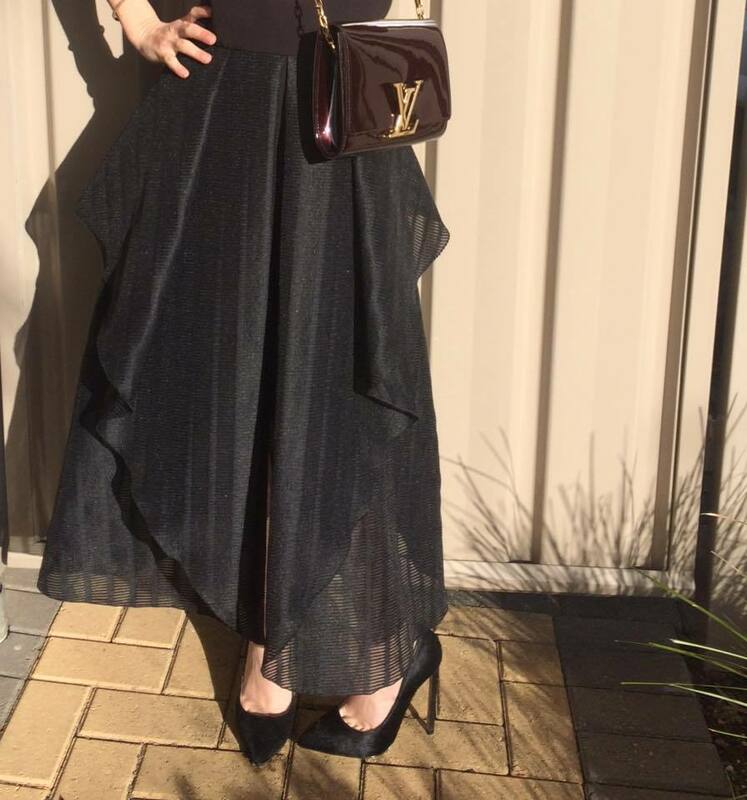 One thing I like about Dressed Up is that you can also book a styling session and appointment online through the online portal, which is handy for anyone who's a little uncertain or needs help in finding the perfect outfit, and no need to stress, as emails with Dressed Up are prompt and handled well. Now, when it comes to gifts, Dressed Up also offer Gift Cards that can be purchased and customized online with your name, the recipients name, card value, personal message and choice of an e-card or classic card. Give your loved one access to the most fashionable pieces that are trending now.